On 2 July, 2017, my father sends me an article about Jewish Australian poet Fay Zwicky’s passing in Perth. I am four months into my Masters in Brisbane, where I am writing a manuscript of poetry and a thesis about tensions between my Jewish identity, memory, mental illness and hybridity as mediated through cultural objects and poetry. Fay Zwicky is one of my contemporary case studies and as I read through the article, I discover that the day before she died at age 83, The Collected Poems of Fay Zwicky was published, spanning her life’s work. 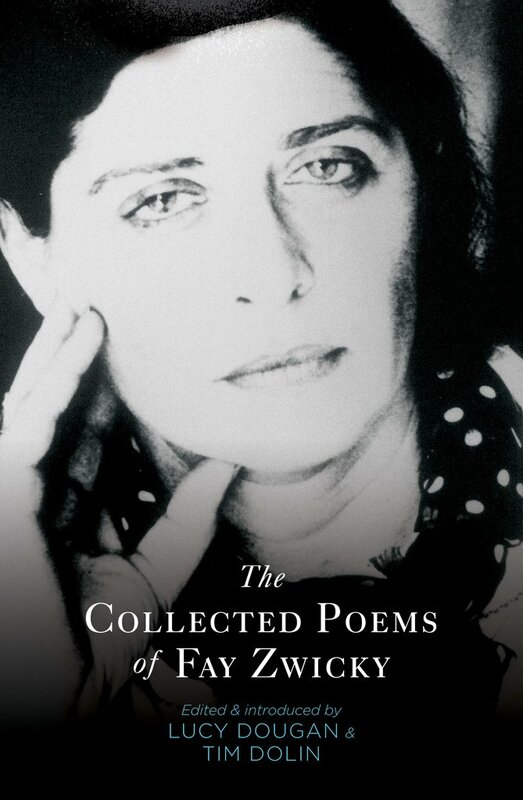 Including seventeen uncollected poems at the end of the collection, The Collected Poems of Fay Zwicky also contains her previous works Isaac Babel’s Fiddle (1975), Kaddish (1982), Ask Me (1990), The Gatekeeper’s Wife (1999) and Picnic (2006), in order of publication. An introduction from editors Lucy Dougan and Tim Dolin gives insightful context to her works, as does Zwicky’s important essay ‘Border Crossings’ (2000). Both the introduction and ‘Border Crossings’ are pertinent additions to the collection as they discuss Zwicky’s cultural background and the Jewish rituals that inform her poetry. It’s the year of the Dragon. Omens for the journey aren’t encouraging. Of all Zwicky’s poems, her title poem from Kaddish best showcases the Jewish motifs displayed throughout this collection, and her reconfiguring and refreshing of language and ideas. ‘Kaddish’ is an elegy for Zwicky’s father and one of her most famous works, which took eighteen months to write. Drawing on Hebrew from the Jewish Mourner’s Prayer (the Kaddish), Zwicky also references the Passover song Had Gadya (One Little Goat) and turns the words upside down, making familiar melodies unfamiliar through metaphor. As I have recited the Passover songs every year since childhood, Zwicky’s inversion of Had Gadya is like a spot-the-difference game of rearranged fragments. Zwicky credits the authors and influences that helped her find a voice in the 1970s: the Jewish American novelists Bernard Malamud, Saul Bellow and Philip Roth, whose work gave her a community that she felt she lacked in the Australian context. She also discovered Allen Ginsberg’s poem ‘Kaddish’ seventeen years after it had been published, and this was the breakthrough that made her feel freer to finish writing her own ‘Kaddish’. For Zwicky, poetry has always seemed to be ‘a source of hope, a means of speaking against an orthodoxy, be it religious, political, or social’. Featured at the end of the book, Zwicky’s new and uncollected poems continue in these modes. For example, in her poem ‘In Rehab’, Dr Kiberu asks ‘are you religious?’ and Zwicky writes ‘I could be but not so you’d notice’. This line intersects with Zwicky’s major themes of Jewish identity in her earlier collections and is one that resonates throughout The Collected Poems of Fay Zwicky. As a Jewish Australian woman writer, I am grateful that Zwicky has shown the possibilities of poetry for others to follow. The Collected Poems of Fay Zwicky is an extremely valuable addition to literature and a beacon for minority women’s voices to continue to break conventions, write and speak out. This entry was posted in BOOK REVIEWS and tagged Anna Jacobson, Fay Zwicky, Lucy Dougan, Tim Dolin. Bookmark the permalink.